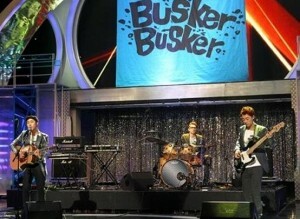 Last week, my fellow writer Johnelle included indie band Busker Busker‘s improbable win on MNet’s M! Countdown on her list of the five things she loved in K-pop. Like Johnelle, I myself cannot remember a true indie artist walking away with an award on any music program, much less an indie band who defeated two K-pop giants (in this case, SHINee and CNBlue) in order to do so. I tip my hat to Busker Busker and give them a warm round of applause. 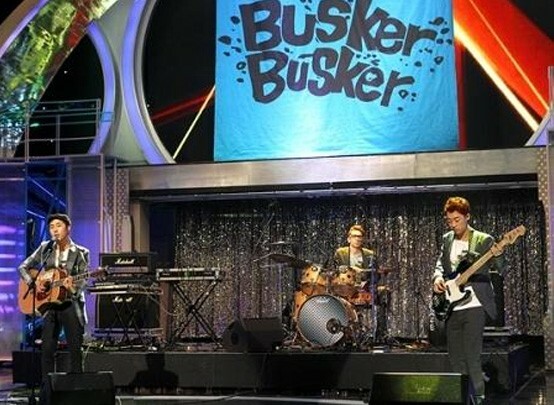 Prior to their win, my encounters with Busker Busker had been limited at best; I hadn’t seen them on Superstar K, and my exposure to their music was decidedly limited. However, I’d heard their song “Yeosu Night Sea” through a friend, and leader Beom-jun‘s impressive vocals coupled with the band’s unique sound and solid instrumentals indicated to me that this was a group worth keeping tabs on. Their victory on M! Countdown is well-deserved and a sign of good things to come for the band. But even as I read the news of Busker Busker’s win, I found myself doing a slight double-take. Wait, what? A group with instruments and a white guy (Brad Moore, English teacher at Sangmyung University in Seoul) that isn’t signed with a major record label managed to beat out five pretty boys (with hordes and hordes of fans, it must be noted) from the largest entertainment agency in the game? How in the world did that happen? Well, logically speaking, it must have happened because Busker Busker’s song “Cherry Blossom Ending” had the greatest number of on/offline song sales, online votes, real time SMS votes, and positive scores from music judges. But realistically, if any group were to unseat SHINee, one would likely expect it to be a somewhat more established group, and almost certainly not an indie group that isn’t showing off their beastly dance moves on stage. Does genuine surprise at an indie artist’s victory on one of South Korea’s three major music television programs that offer awards, then, indicate doubt that Busker Busker is capable of receiving the recognition it deserves? Hardly. Rather, it indicates shock that an artist without much clout or influence could actually beat the system and turn an awards program into something meritorious — because if you think about it, music programs today tend to be anything but. That three of the four major music programs (M! 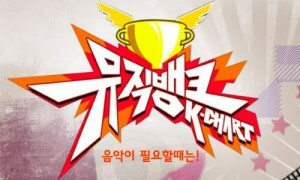 Countdown, Inkigayo, and Music Bank) give awards should mean that the Korean music industry intends to reward success and accomplishment, but the fact the most of the awards are calculated based on some combination of music sales, radio and TV broadcasts, and viewers’ choice votes leads often to a total sense of predictability. Chris Choi with MTVKorea recently put forth this point in an op-ed, arguing that the current music award show format no longer works because nobody beyond the so-called “Big 3” entertainment company artists (artists from SM Entertainment, YG Entertainment, and JYP Entertainment) even stands a chance. As Choi points out, whenever a major artist makes a comeback, it is not a matter of whether or not they will win an award, but how many awards they will take home before their promotions conclude. Does that mean that the award system itself is inherently flawed? Actually, no, it doesn’t. The awards generally go to artists who (by the numbers) deserve to receive them. But there’s the rub: it’s all by the numbers, and numbers really have nothing whatsoever to do with the quality of the song that is receiving the award. So where’s the problem, and how can it be fixed? It might be an unpopular move, but I’m going to posit that it is the fans, not the music programs or their award calculations, that are to blame here. That a song is being consistently downloaded en masse should speak to the quality of the song itself, but more often it speaks to the rabid fan bases that artists accumulate that wouldn’t dare dream of not purchasing the song the minute it comes out. To be fair, artists don’t accumulate fan bases overnight, and they ought to do something notable to achieve such a number of fans, but lately it’s getting harder and harder to take these fan bases seriously. Exo-K had fan chants before they even set foot on stage — and they lip-synched their first two performances! In Exo-K’s case, their fan base’s remarkable growth can more be attributed to an almost hysterical in-your-face marketing strategy on behalf of SM, and not necessarily the quality of the music they’ve released. But that aside, once a group manages to accumulate for itself a reasonably sizable fan base, the importance of putting out material that deserves to win awards plummets faster than my respect for SM’s business practices. The absurd loyalty and devotion with which many fans view their idols practically ensures that SM could put out a track of Siwon sneezing for three straight minutes and it would win a Mutizen — maybe even a Triple Crown. No matter how truly terrible a song is, or how truly uninspired or unreflective of any sort of artistic growth since the group’s last release, if it is put out by a major group under a major record label, it will sell out like hot cakes and win trophies until either another group of equal clout makes a comeback and usurps the top spot or the group concludes their promotions, whichever comes first. Think about it. Some groups have put out atrocious material, yet get rewarded for it for weeks on end. Super Junior‘s recycled version of “Sorry Sorry” (also known as “Mr. Simple”) had “we didn’t really try hard but here you go, fans” written all over it, and what happened? Trophy after trophy — and all of them were “deserved” according to the numbers. Same story with SNSD and “The Boys.” For as many people that thought this was an acceptable song (I may or may not be one of them), there were a thousand more who legitimately criticized the song for being pretty lackluster in comparison with SNSD’s overall body of work. And okay, even I thought that the chanting was pretty horrible. Worse, some groups don’t win for things that they should win for, but once they’ve amassed the requisite number of fans, will win for a far less deserving effort. SECRET‘s “Madonna” was feisty, energetic, and accompanied by some pretty outstanding vocals and choreography, which was no doubt instrumental in winning the group fans, but they didn’t win an award until the poodle-doo disaster that was “Shy Boy.” And while I’ll admit that I actually kinda sorta fangirled about “Shy Boy,” it was honestly a played-out, overdone, aegyo-filled overdose. Maybe this speaks to fans’ preference (cute > badass), but it could also speak to the fact that fans don’t purchase songs because of songs — they purchase songs because of groups. Fan behavior hardly encourages idols to do their best or to strive to put out honest-to-god mind-blowing material. And really, why should entertainment companies put in the effort if they know that they will get huge returns with minimal investment? But if fans really “punished” the artists by only downloading songs that they found appealing and refusing to download songs that they didn’t, what would the music market look like then? I’d wager that SM might try a little harder to not put out crap, and artists like Busker Busker would stand more than a fair chance of taking home a greater number of trophies — trophies that they themselves earned by being good at their craft, by taking the time to write and release quality material, and by precision and perfect execution in their performances. The system of giving out music awards is hardly flawed — but the fan mentality that drives the success of major labels is. In order to create a more meritorious awards system, fans need to demand more of the groups that they support. They must learn not to be complacent with mediocre material, and they must resist the urge to buy a piece of garbage just because it has their favorite oppa or unni’s name stamped across it. A change in fan behavior would bring about the change that Korean music industry desperately needs — but I’m sure I’m not the only one who thinks that we’re unlikely to see it anytime soon. Have your say, Seoulmates. What’s your opinion of the music program award system?